Darin is a co-founder of Ascendant Wealth Management with nearly three decades of experience in the financial services industry. Whether he’s working with a financially-savvy client or someone who doesn't follow finance, he strives to help people match up their personal financial goals with an investment program that will meet their needs. With a desire to combine his passion for math and finance with his desire to help people, Darin entered the financial services industry in 1989 and transitioned to become a wealth advisor in 2001. While working with SunTrust Bank, he managed individual portfolios of equities, bonds, and mutual funds. In 2007, he joined forces with David Corcoran to found Ascendant Wealth Management. 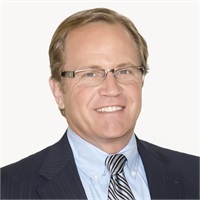 Darin holds a Bachelor of Arts in Finance from Texas Tech University, Master of Business Administration from Southern Methodist University, and Master of Accounting from Nova Southeastern University. He has also earned his designation as a CFA charterholder, and is active in the CFA Society of Naples, where he has served as Treasurer, Vice President, and President. Outside of the office, Darin enjoys spending time with his wife, Dana, and their two children, Mackenzie and Mason.